Expansion joints, constructed to absorb expanding and contracting materials brought by temperature changes, are an important part of many industries and applications. Expansion joints help keep materials intact or conjoined during natural disasters like hurricanes and earthquakes — during calamities and while the ground settles. These are only a few of the benefits of expansion joints, but perhaps the most important benefits when considering safety and project longevity. At Lindberg Process, we believe in solid construction, safety and optimal materials to help make every endeavor and design the best that it can be. This is why we have added Norflex expansion joints to our inventory. Let’s explore why your project or utility needs these versatile joints. Cogeneration turbines and drying turbine installations are only one example of when expansion joints are used and why you need them. Uses in these applications include turbine exhaust, peaking plants, power systems associated with shipboards, by-pass systems, and gas distribution. Expansion joints have long been part of energy pipelines as well as coal, oil and other gas-fired utilities. They are also found in industrial boilers and waste heat recovery. On the environmental front, expansion joints are being used widely in air pollution systems, DENOX, waste incineration and FGD. Expansion joints are widely used in cement to keep slabs and concrete away from other materials and applications. The joints make it possible for independent movement between conjoined materials. The versatility and power of expansion joints may be best represented in construction and in chemical utilities because the joints can be manufactured to withstand temperatures of 2000 degrees Fahrenheit, making them ideal for chemical, petrol, steel, aluminum, and iron applications. Additionally, expansion joints are used in bridges to protect against expansion and contraction brought by weather, including frigid temperatures, and weight-bearing cargo. Without expansion joints, a bridge could collapse during an onslaught of warm weather or come apart under freezing conditions. Other applications utilizing expansion joints include offshore drilling and glass. Expansion joints have long been a staple of engineering and general construction. When you have a structure that requires stability or a pipeline meant to last, there is no better application than the expansion joint. When you need an application, pipeline or other to sustain movement brought by people, cargo, natural and unnatural shifting, expansion joints are a must. When you want a manufacturing project to last, expansion joints provide strength through versatility and through allowances for movement. At Lindberg Process, we believe in quality and safety in manufacturing and in industry, and we are here to help you make the best choices to achieve these ends by providing the latest and most reliable information. 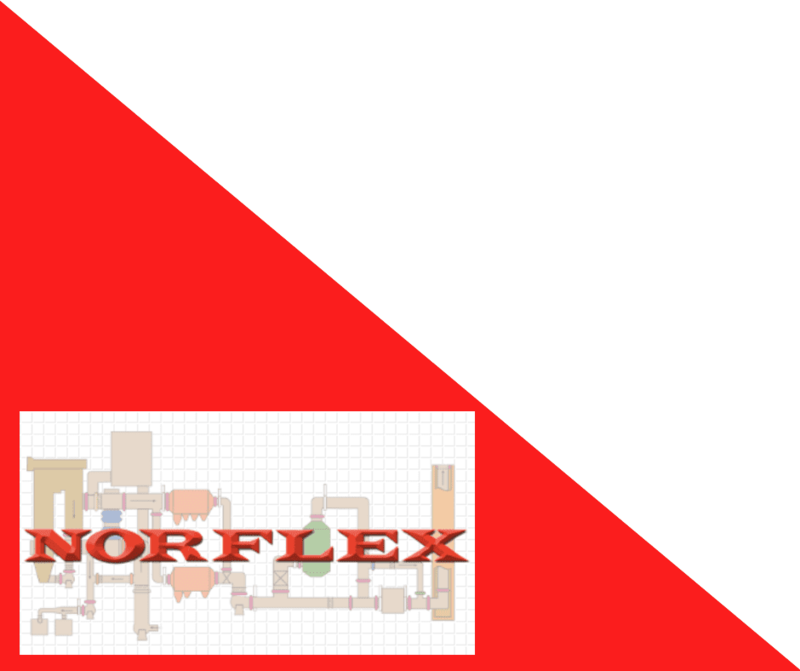 When it comes to Norflex expansion joints and other products, our long-standing clients could not be more satisfied. Contact us with any questions you may have or reach out for comprehensive product advice today!